Chippendale can sometimes be overlooked as a destination for trendy cafes and experimental food. However, with the recent opening of Kensington Street, and Sydney’s only signature Toby’s Estate cafe in the area, Chippendale is a prominent foodie destination all on its own. There are plenty of places to meander between, no matter what time of day you’re looking for a bite, caffeine hit, or thirst quencher. Here’s our guide to a foodie’s day out in Chippendale. The story behind Toby’s Estate may encourage some of us to quit our day job and follow our dreams. Founder, Toby Smith – now a roaster, barista, and coffee connoisseur – quit his career as a lawyer to pursue his love for the humble bean. Venturing to remote coffee regions and living in the communities, he saw first-hand the hard labour and families that surround the creation of coffee. He didn’t want to lose these values or components to the world of mass-produced coffee. Instead, he set about roasting his own coffee from his coffee farm in Panama. 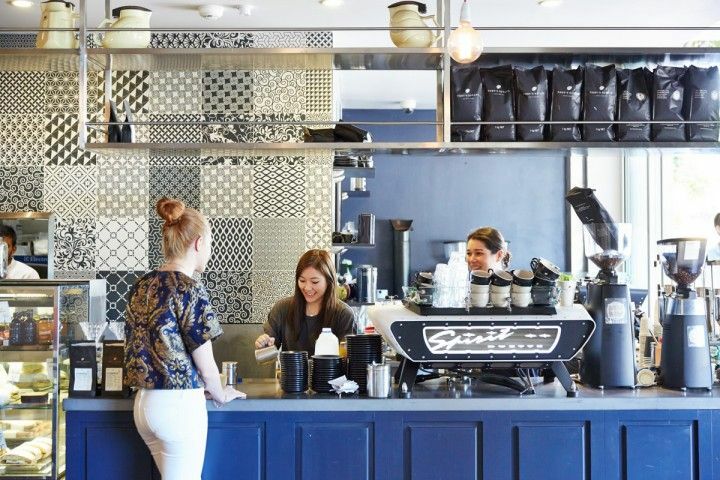 The Chippendale location is one of just a few signature cafes, and the only one in Sydney. Recently refurbished, the space is light and airy, with an industrial style and glass windows overlooking the roasting room at the back; personal touches come in the form of a large ‘Bring origin to life’ mural featuring the Toby’s Estate coffee cup. Toby’s Estate is the spot to stop for brekkie. There are plenty of known dishes that have been reimagined to include some additional, unique toppings. The traditional bacon and egg roll has been revamped with a poached egg and béarnaise, while French toast comes with spiced poached pear, rhubarb compote, and chai anglaise. If you’re in the mood for something a little special you can dine out on the potato and leek gratin, which comes with smoked salmon, asparagus, alfalfa and a poached egg. There is also a full-blown breakfast board, or the very popular truffled poached eggs with halloumi, house-made potato hash and more. Of course you’ve got to top if off with an in-house, roasted coffee. All the classics cups are on offer, or try a whole host of special filter brews, from cold brew and AeroPress, to V60 and the ‘clever dripper’. 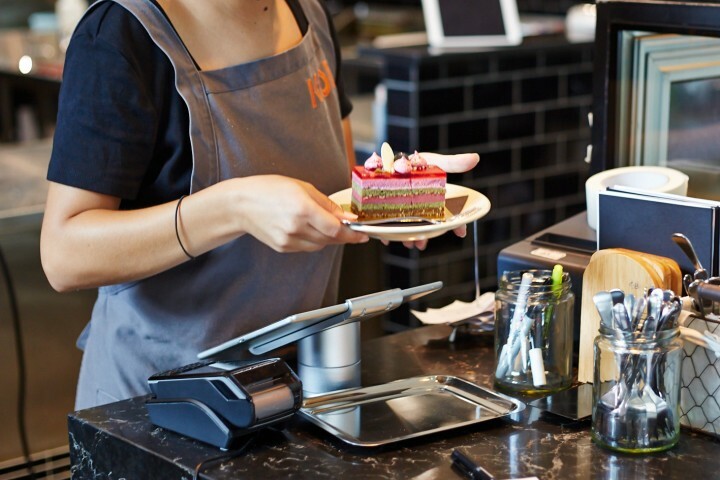 If you’re after a mid-morning treat then stop by Koi Dessert Bar, the much-anticipated dessert bar from 2015 Masterchef contestant, Reynold Poernomo. At just 22, Reynold became particularly noticeable for his desserts on the show. Since then, he has since tried out a couple of pop-up dessert bars, now teaming up with his two brothers, Arnold and Renald to open permanent hotspot, Koi. Koi means “come” in Japanese, which encourages people to visit the new venue. Stop by the ground floor from 10am to pick up one, or two, or many… of the glossy desserts and cakes lined up in glass display counters. If you’ve got more time upstairs is a sit-down restaurant with both a la carte and set menus. The patisserie-style cakes come in bright, bold colours, with intricate hand-made toppings such as individual rose petals, sweet-filled pipettes, themed chocolates, and macaroons. 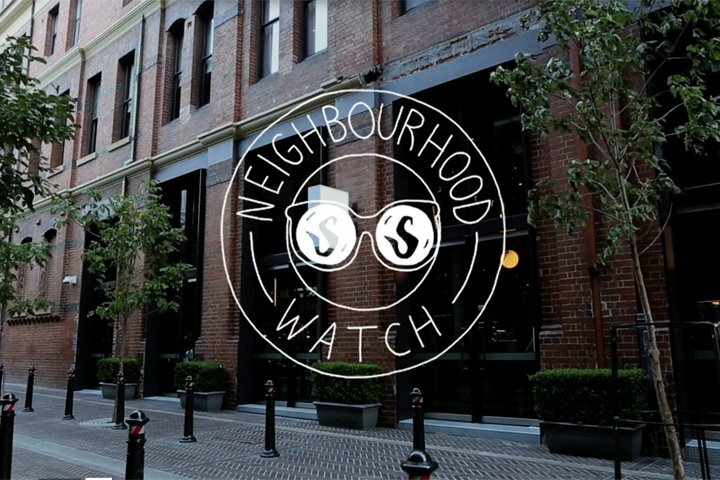 Grab a couple of treats and head outside to the greenery-surrounded outdoor seating, or take your purchases away to indulge your sweet tooth in one of the pretty spots dotted around Chippendale. Tucked behind the new Kensington Street development, just off Central Park and Broadway, is Kensington Street’s Spice Alley. Dr Stanley Quek, Marcus Chang, and their team, all part of the Greencliff property group, have poured vibrant life into a previously vacant, industrial lot. 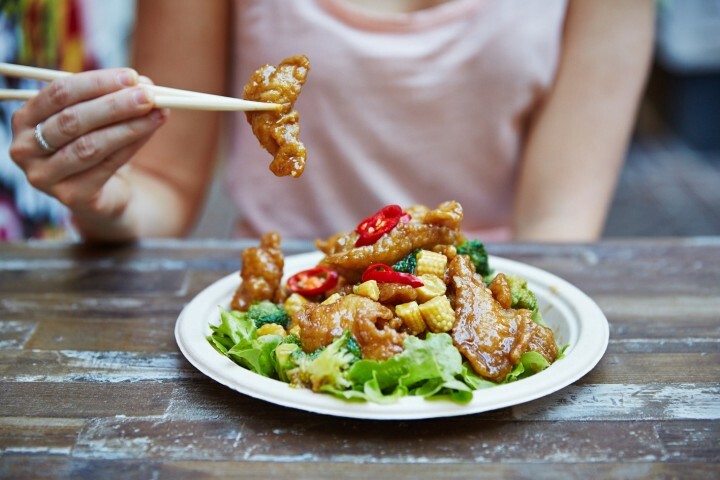 If you’re a fan of Asian food and want to try something a little different for Sydney, with plenty of choice and a relaxed atmosphere, then this is the place for you. A hawker-style dining experience, the space is a series of courtyards resembling an outdoor street-food market. You’ll be spoilt for choice with four permanent venues to explore. Alex Lee Kitchen serves Singaporean and Malaysian cuisine, while Bang Luck Thai Street Food is the contemporary offering from Tiw Rakarin. 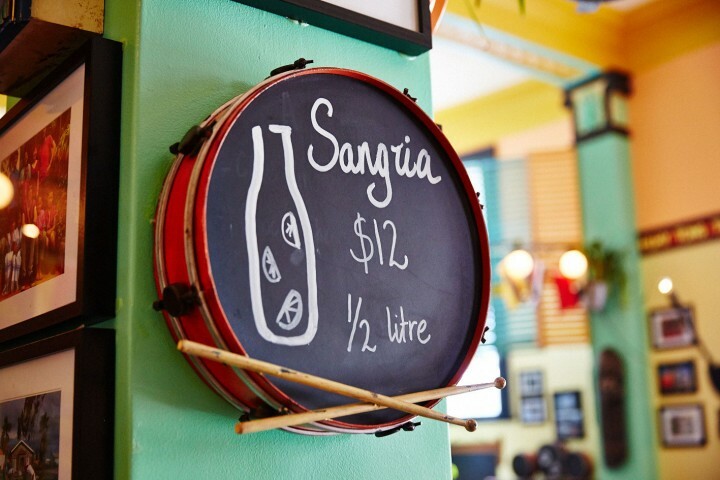 Old Jim Kee’s comes from Jim Yong, known well on the Sydney scene as Uncle Jim. Born in George Town, Malaysia, and with more than 30 years’ experience, he serves delicious stir-fried and deep-fried morsels of Malaysian cuisine, such as his own take on the moreish curry puff. Finally, you can grab simple, flavoursome Cantonese favourites from Hong Kong Diner. There are also a couple of pop-ups, and two full-dining venues at each end called KYO-TO and Mekong. Try anything from laksa and roti canai, to satay, sambal, rice dishes, Asian curries, dumplings and noodles. Most staple dishes are $10 or under, and there are lots of different spaces to seat yourself in between the heritage buildings that date back to the 1840s. Before you move on to dinner, try Two Wolves Community Cantina for a pre-dinner drink, which will support positive social change. The venue opened in September of 2015 and all surpluses from the restaurant go to partner organisations in developing countries. All the wait staff are volunteers, which helps to keep costs down and optimise profits for the social projects. If you’re after a feed, the menu is primarily Mexican but dishes are also influenced by the other countries the Cantina supports. The drinks menu is organised by bar manager, Bruno. He conjures up everything from the classic espresso martini, to frozen margaritas in a host of flavours including blueberry, apple, cucumber and mint. There are also classic margaritas, Seven Hill wine from Clare Valley in South Australia, and if you’re after more of a dessert-style drink than you’ve got to try a Nutella milkshake. Enjoy a few drinks in the knowledge that with every drink, you’re making a difference. 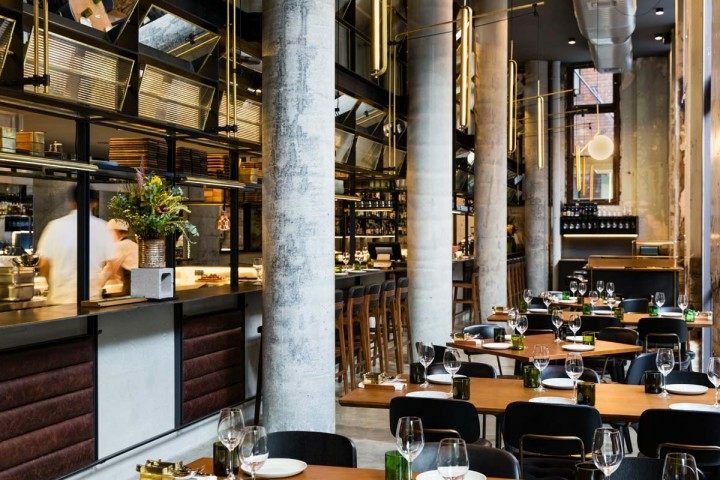 The first Sydney restaurant from British chef, Jason Atherton, Kensington Street Social is the perfect place for a delectable dinner in Chippendale. Jason worked with renowned chefs such as Marco Pierre White, and the Gordon Ramsay Group, before branching out on his own and starting The Social Company. In the UK he has won Chef of the Year by Caterer and Hotelkeeper, and Best New Restaurant by The Good Food Guide. He now has multiple restaurants worldwide. Kensington Street Social is housed in the Old Clare Hotel, formerly a Brewery admin building. On the menu are Mediterranean share plates, utilising the best of Australian produce and wine. The menu is split into simple sections: Snacks, Vegetables, Raw and Cured, Sourdough Flatbreads, Fish and Shellfish, and Meat. Dishes are simple and represent the best of Australian-specific ingredients such as kangaroo, wattleseed, and Moreton Bay bugs, with a touch of English inspiration. The latter comes in the form of things like Sunday Lunch Gravy and the popular, English Breakfast Tea and Toast – wild mushroom tea, gentleman’s relish, and bone-marrow toast. Atherton’s flair for food comes out in dishes like this one, as well as the use of products such as squid ink crackers, artisan ‘Mountain man’ washed rind, sea urchin rice, pea tendrils, and his Tongue ‘n’ cheek croquettes. It is an informal dining experience, allowing patrons to come in for just a snack or the whole affair. Matt Fairhurst is the award-winning beverage director supervising the bar, with plenty of cocktails to start your evening off, and endless recommendations up his sleeve.